Can you guess the name of the car in the image? Doesn't matter, you can ride in this free for once and after that as this service pleases you, you can get the same service in Rs 15-25 per KM depending upon city charges. 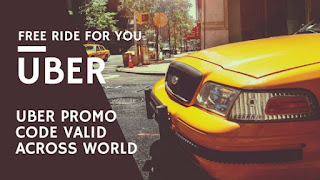 Here is opportunity to get free ride worth of Rs 300/- by UBER cars in six cities of india which are Delhi NCR, Bangalore , Mumbai, Pune, Chennai and Hyderabad. If you are a paytm user then you may already used the offer , if not.. register at paytm and pay your bill via paytm to get PROMOCODE of uber ride worth Rs 500/- in any available city. Share this post with your friends who can avail this offer. This offer ends at June 29th, 2014. After you signup proceed here to get new user promo codes for india.